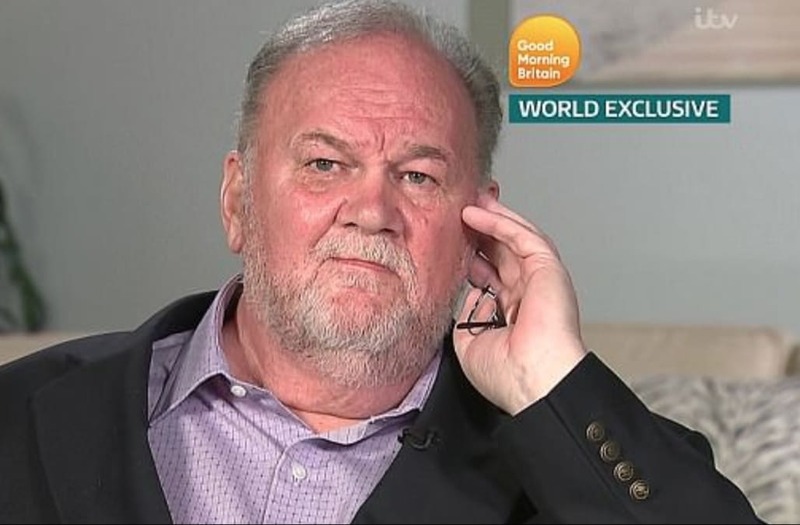 Thomas Markle, the father of the Duchess of Sussex, has attempted to soften his relationship with the British media and gave a wide-ranging interview about his daughter’s wedding. Markle, a retired lighting director who lives in Mexico, was swept up in the swirl of the U.K.’s ogling of the royals ahead of Megan Markle’s marriage to Prince Harry last month after he was caught staging photos of himself. The 73-year-old admitted to the scheme to American outlet TMZ, though spoke to ITV on Monday and shared his frustration that the tittering tabloids of Fleet Street had chopped up his life into snapshots and sold him to the public as a slob. “For the last year photographs of me were always, like, derogatory. They would take pictures of my hand grabbing a beer, take pictures of me getting in my car, taking the garbage out. They take pictures of me buying a toilet and making a big deal out of it,” Markle said. “So I thought this would be a nice way of improving my look. Well that all went to hell, I feel bad about it. I apologize for it, and that’s all I can do,” he added. Markle had a photographer take pictures of him reading up on British landmarks, though the Daily Mail, which paid for and ran the images, later reported that the photos were staged. He had been set to walk his daughter down the aisle at Windsor Castle, though after the photo scandal stayed across the pond to have a heart operation as Prince Charles took his role. He said that the future Duchess cried when he said he would not be doing the honors, but that “it was incredible watching” his daughter as he recovered from surgery. “My daughter has been a princess since the day she was born,” Markle said in the interview, which also ranged to his discussions with Harry as he asked to marry the former “Suits” star. “You are a gentleman, promise me you will never raise your hand against my daughter and of course I will grant you my permission',” he recalled telling the prince. Other conversations with Harry, always over the phone, touched on political issues, with the British royal saying he was open to the “experiment” of the U.K. leaving the European Union.